Don’t need to say much . 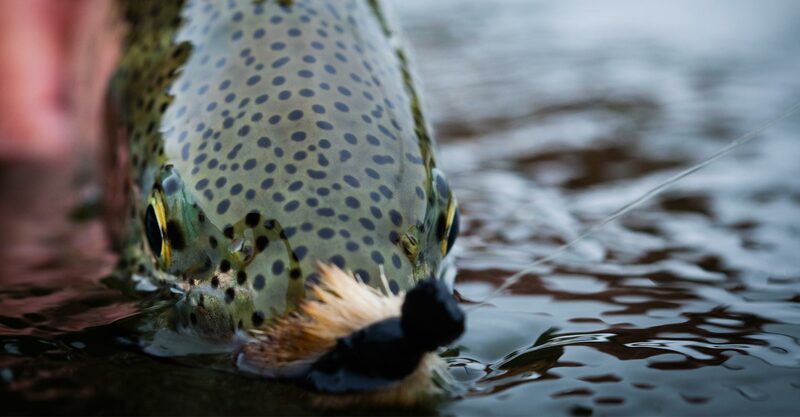 . .
Aniak River Lodge offers some of the best trout mousing in Alaska and the entire world. The Aniak River and its tributaries have an incredibly healthy and unpressured Rainbow Trout population. During every week of the fishing season, you can catch our giant Leopard Rainbows on mice patterns. The months of June, July, and early August prove to be particularly productive for this unique top water action. “Mousing” is our specialty, and it separates Aniak River Lodge from other fishing operations in Alaska. If you’re looking for a fishing experience of a lifetime, look no further.